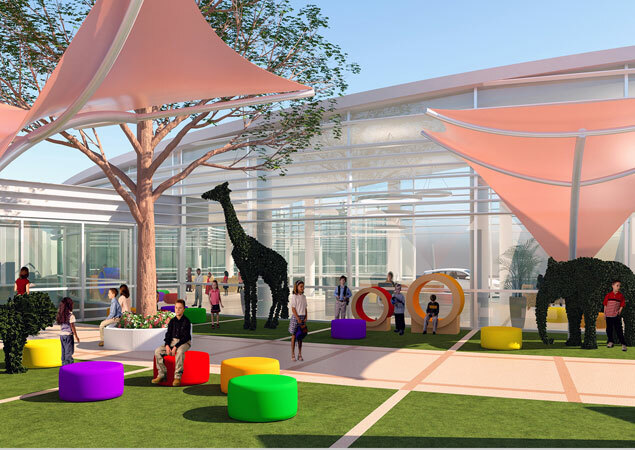 The driving principal for this conceptual design for a children’s hospital was to create an environment that would be an “oasis” for patients and families, one that would appeal to both children and adults. For the children, the design creates a colorful, interactive space that would engage a wide array of age groups. Adults would enjoy a spa-like environment with carefully selected materials and natural light that lend a soothing, relaxing feel. 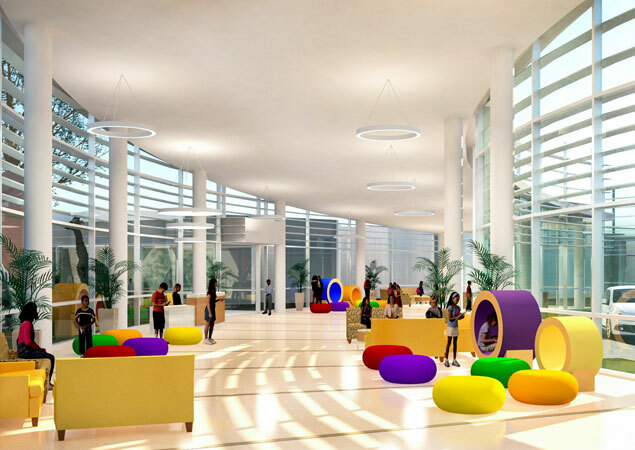 The goal, to design a space that alleviates the stress associated with visiting a hospital environment for children, their families, and the community.